At one point, the F.B.I. was so serious about its investigation into the server that it asked The Times to delay publication. Meanwhile, reporters had met with a former British intelligence officer who was building the dossier. While his findings were difficult to confirm, Times reporting bore out that he was respected in his craft. And of his material that was checkable, no significant red flags emerged. 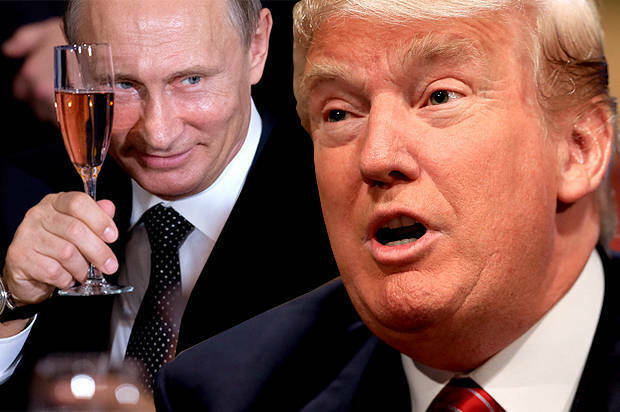 What’s more, said one journalist frustrated with the process, a covert link seemed like a plausible explanation for the strange bromance between Trump and Putin. There were disagreements about whether to hold back. There was even an actual draft of a story. But it never saw daylight. The deciding vote was Baquet’s, who was adamant, then and now, that they made the right call. I don’t believe anyone suppressed information for ignoble reasons, and indeed The Times produced strong work on former campaign chairman Paul Manafort. But the idea that you only publish once every piece of information is in and fully vetted is a false construct. If you know the F.B.I. is investigating, say, a presidential candidate, using significant resources and with explosive consequences, that should be enough to write. Not a “gotcha” story that asserts unsubstantiated facts. But a piece that describes the nature of the investigations, the unexplained but damning leads, with emphasis on what is known and what isn’t. Running every detail of the dossier, as BuzzFeed did, would have been irresponsible. Writing about a significant investigation would not. Weeks after The Times had the goods, Franklin Foer of Slate and David Corn of Mother Jones each took a turn at such pre-election articles. Their stories may not have been precisely what The Times would have done, but they offered a model. I can appreciate that journalistic diligence requires your paper to describe these memos as “unsubstantiated.” But the “unsubstantiated” allegations described in this article have been circulating for months. While your editors made a value judgment about the veracity of these claims, American intelligence agencies apparently took the memos seriously enough to open their own investigations. How is this not newsworthy in its own right? There is an unsettling theme that runs through The Times’s publishing decisions. In each instance, it was the actions of government officials that triggered newsroom decisions — not additional reporting or insight that journalists gained. On the server, once the F.B.I. signaled it had grown wary of its importance — without giving conclusive evidence as to why — the paper backed off. Weeks later, the Senate Democratic leader, Harry Reid, publicly admonished the F.B.I. for being secretive about its probe of Trump. That gave The Times cover to write what it knew about the bureau’s investigation into the bank server. It was the same pattern on the dossier. Only after learning from CNN that Trump and President Obama had been briefed on the document did The Times publish what it had known for months. Its confidence in the material had not changed, nor did its editors know whether the top level briefing meant the government believed the information was true. But the briefing became justifiable cause to publish. In this cat-and-mouse game between government and press, the government won. After-action insights are easier than in-the-moment decisions. Back then, the media still thought Trump was a weak challenger to Clinton, a mind-set that might have made taking the risk of publishing explosive allegations all the more fraught. If the new president was in fact colluding with a foreign adversary, journalists and investigators should feel enormous pressure to conclusively establish that fact. If it is not true, both Trump and the country deserve to have this issue put to rest. Updated at 5:25 p.m., January 21, to include clarifying information on the Times investigation.